I have struggled with what to say about what happened in Orlando yesterday. I have lived in Central Florida my entire life. My office is in Orlando and I travel there on a weekly basis. Orlando, a city I relate to as my second home was attacked yesterday and I sit here confused, heart broken and in shock. I look back to 9/11 and remember the nation becoming strong and united following the tragedy. Sadly, that is not what is happening right now. STOP with the hate and politics. What happened at Pulse Nightclub was an act of terror and a hate crime. It was horrific and unthinkable yet people are arguing online. We need to unite as a country once again and be there for the city of Orlando and the LGBT community. "I keep reading and hearing that Orlando is now "home to the deadliest mass shooting in U.S. history." Forgive me for being pedantic, but words do matter and I would like to propose a small correction to that statement. Orlando is home to many things. It's home to Orlando City Soccer, Orlando Pride, the Orlando Magic, the Solar Bears. It's home to the University of Central Florida, second-largest university in the United States. It's where life-changing concepts, like 3-D printed prosthetics, become reality. Orlando is home to Knight-Thon, which raised over a million dollars last year for Children's Miracle Network Hospitals. It's home to Arnold Palmer Hospital, one of the top pediatric hospitals in the nation. It's home to Universal Studios and Walt Disney World, where every year thousands of children with life-threatening illnesses choose to make their most magical memories with their families. Orlando is home to some of my dearest friends, the experiences that have made me who I am today, and a large piece of my own heart and soul. It is home to an incredibly diverse array of people, places, and opportunities. And it is home to a vibrant and tenacious LGBT+ community, which deserves more love and support than ever in the wake of this tragedy. The City Beautiful is home to so many amazing things. This kind of hatred is not allowed to call my city home." We need to come together as a country once again. Stand strong and support one another. Stop fighting about politics. Stop the hate. If you are in Orlando, you may find the below information useful. Hotline for Victim Family Members: 407-246-4357. Hospital - anyone visiting Orlando Regional Medical Center needs to check in at 52 W Underwood St. and provide identification and verification of your relationship to the victim. The City of Orlando asks that people seeking a location for memorial items please use the green space in front of the Dr. Phillips Center for the Performing Arts in downtown Orlando. 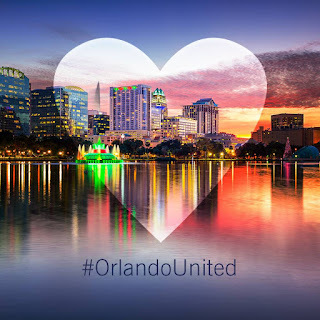 The City of Orlando is coordinating all volunteer efforts through its website cityoforlando.net and click on #OrlandoUnited. 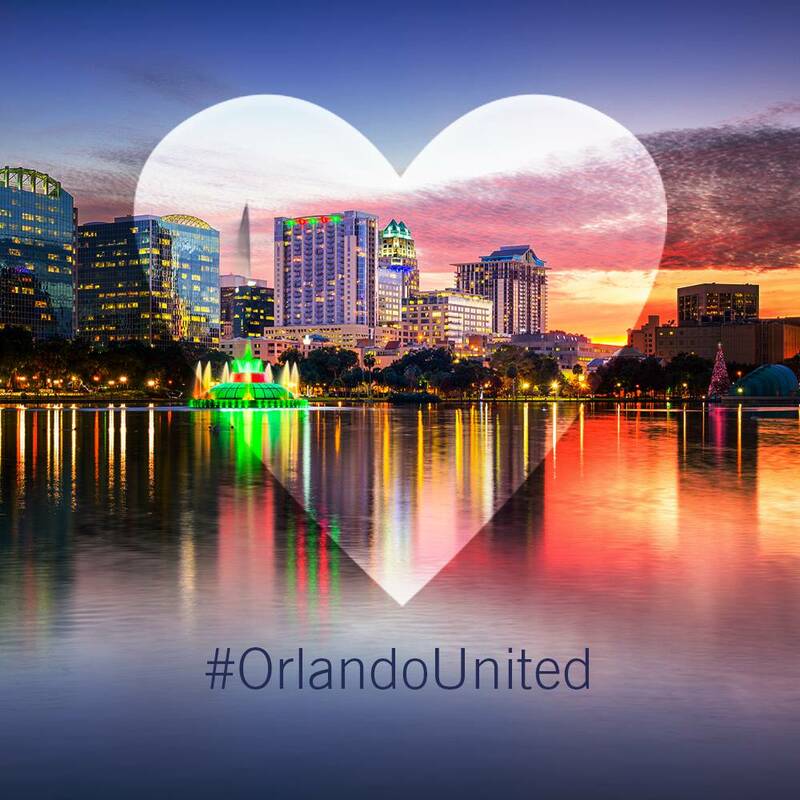 In social media posts, hashtag #OrlandoUnited to demonstrate our solidarity with those who seek to bring peace and healing to our community. At the end of the day, we are all human's. Race, Religion, Sexual Orientation and Political Orientation shouldn't be used for hate towards one another.